Everyone has at least slipped or fallen multiple times in their lives, most of the time caused by clumsiness or not paying attention. Other times, prevention of these accidents can occur. OSHA has workplace standards for these reasons. Sometimes dangers are not always obvious as too why we need to learn more to recognize things that can cause an injury. This is when liability can come into play. 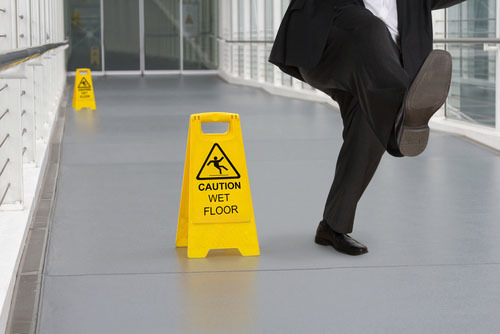 A slip and fall accident is a slip that ends in a fall due to a hazardous condition on anther’s property. The leading cause of spinal cord and brain injury is due to slip and falls. Some can be life threatening, mostly for children and seniors. My AZ Personal injury Lawyers represents people in Arizona who have been injured in slip and fall accidents. Our attorneys have secured compensation and represents clients who have been injured in slip and fall incidents. Our law office provides to you six convenient locations in Mesa, Glendale, Tucson, Avondale, Phoenix, and Scottsdale. Our legal defense is affordable with financing options available, as well as free consultations and case evaluations. Our personal injury lawyers are dedicated to winning by defending, litigating, and negotiating. We are the top-rated attorneys experienced in personal injury law as we know the Arizona courts, clerks, judges, and court system. Contact us to speak with a professional personal injury lawyer today.